The Zimbabwe government will crack down on social media users it accused of spreading false rumours of shortages and causing panic buying of fuel and other goods. Most service stations in Harare have been without fuel since Monday amid a mounting economic crisis and long queues formed at the few outlets still selling it. Ministers put the blame on the country’s small but vibrant social media scene and said cabinet decided to take unspecified measures. “The trigger to the artificial shortages that was created was most unexpected. In fact, it was like a bombshell because there were no shortages in the market,” Finance Minister Patrick Chinamasa said. People were going online, he said, trying to cause alarm and despondency in a country still haunted by the shortages and hyper-inflation days of 2008. 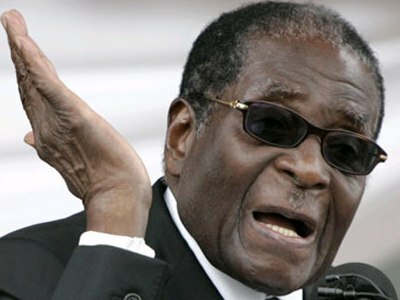 Veteran President Robert Mugabe has faced a series of street protests since last year, many of them organised online. Talk of “corrective measures” will raise fears of a wider crackdown before elections next year. Zimbabwe is grappling with cash shortages that have worsened in the last three months, with some banks unable to provide money to customers. A shortage of US dollars left businesses struggling to import goods and raw materials to produce locally. Prices of imported cooking oil and dairy products have risen. Businesses are buying foreign currency on the black market at a premium, raising fears of a return to hyper-inflation. Chinamasa said the country’s Attorney General was drafting measures to allow police to arrest illegal foreign currency traders and confiscate currency. “We are going further. Where we establish transactions were done through bank accounts, the regulations will empower freezing of those accounts to the extent of the money being traded illegally,” Chinamasa said.